Since our last piece on personal finance apps, we’ve found plenty more apps which are designed to help you save a little extra money by making your finances easier to manage. What is it: Money Dashboard offers you a simple, single overview of all of your bankaccounts, credit cards, and savings. Will it gain traction: Yes! Money Dashboard was one of the first apps to offer this sort of functionality and while account aggregation has been around in the US for years, it’s only starting to gain pace in the UK. Money Dashboard was one of the first to offer this functionality, and though it hasn’t adopted new features at the rate of some of the newer apps, it’s still very solid at what it does. 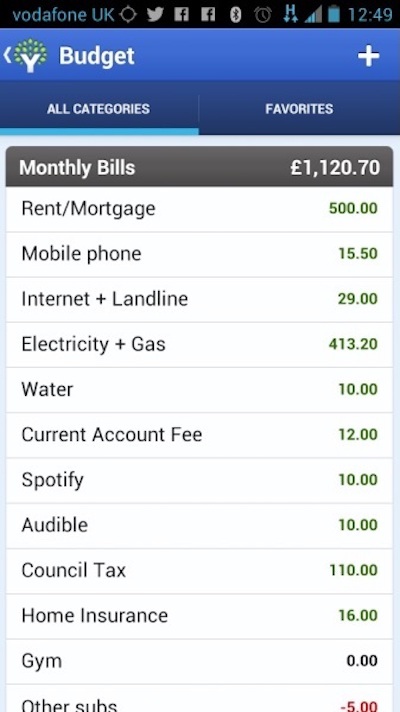 What we loved: The way the app handles budgeting for specific categories is great. Spending too much on transport? Set a monthly limit of £100, and Money Dashboard will genuinely help you stick to that budget, alerting you when you’re close to your spending limit. These behaviours can definitely help curb over-zealous spending. What is it: Every few days, Chip calculates a small amount which it has determined that you can afford to save, and puts it into a savings account. Chip promises this won’t impact your spending, and they’re so confident, it comes with an overdraft guarantee. So if Chip’s saving habits cause you to go overdrawn or miss a payment, they will pay your fees, and give you a tenner. Win-win. Will it gain traction: The idea of Chip is sound and one which we’d expect to see big banks quickly steal borrow. Like anything else, it will only break through if enough people start to use the app. What we loved: It’s truly a low effort method to save some money - and for an AI, it has a personality all of its own, even using animated gifs and memes to great effect. The idea of an automatic savings account, finely tuned to match your personal spending is exactly what the big banks should be employing in their own apps. What could be improved? You have to do a slight amount of digging to find out exactly where your money goes, and how you earn interest on it compared to any other savings account. We predict that getting users to take out a new savings account just to use your app might be the biggest hurdle they’ll face. But when they do, users will be sure to save more money than using willpower alone. What is it: Bud is another account aggregator, albeit a bit more of a 2017 account aggregator compared to some of the others on the market. Will it gain traction: As with many of these apps, there isn’t a clear standout winner that seems to have mass-market adoption - yet. Once one of them does, we’d expect to see them go huge. Still in beta, Bud only supports five UK banks so far and needs to adopt more quickly to compete. What we loved: Bud also offers a slick desktop experience too, for those who want a more detailed view. Like all of the aggregator services, being able to see multiple accounts, and to some extent a “net worth” in one place is seriously useful, and you start to wonder what you did before you had such a comprehensive and clear view of your finances. Where these apps have to, and will get smarter, is by analysing your spending habits and predicting where you could probably save a few quid - “You spent £514 on coffee this month…”. Bud also offers slightly more detailed views of your spending, in the form of appealing graphs, and charts (see above). What is it: YNAB offers a complete overview of all of your transactions so that you can better stick to a budget. Will it gain traction: YNAB has been around for 12 years so I guess you could say it’s doing OK. They’ve now also moved to a paid model of $5 a month so you’d hope that YNAB would be able to help save you £50 a year to make it worthwhile. What we loved: Twelve years of development shows - it’s got every feature you’d want, and for the budgeting newbie who might currently try and do everything in a spreadsheet, it’s a perfect next step. YNAB adopts a sensible stance to saving - “it’s okay to go over budget”, “embrace your true expenses”, and more than anything, YNAB helps to keep your finances moving in the right direction, by constantly nagging you about them. There’s also an Apple Watch app for the super-budgeters, so you've got no excuse. What is it: Pennies is (compared to some of the others on this list) a more basic budgeting app. Set a target budget, spend, and mark down your expenses. Pennies keeps track of how much you've got left, and tells you where your spending is going. Will it gain traction: Pennies is (as of December 2016) currently the most downloaded app in the finance category of the UK App Store. However, we believe the future of budgeting apps is ones which connect directly to your accoutns and automatically pull in our transactions, and we'd love to see Pennies adopt this. What we loved: It’s super-simple. “I started with X, and I spent Y, so I have Z left this month”. It’s perhaps one for the beginner budgeters, as manually entering transactions can be a pain, but it’s clean-looking, easy to use, and offers a great snapshot of “how much I have left in my budget”. What is it: A free and simple way to see all your accounts in one place and understand your money better, says OnTrees opening splash screen. Another account aggregator, this one has the backing of the MoneySuperMarket guys, and though it's fairly basic, what it does offer is excellent. Will it gain traction: OnTrees is one of the UK’s most popular personal finance apps, so yes. What we loved: the app has clearly had a lot of development as it is super-slick and easy to use. The categorisation of transactions - telling me that my most popular day for spending on “Home Improvement” was a Sunday, for example, seems obvious enough but definitely helps to get a better grasp on spending habits. It’s also incredibly easy to use, and has the level of polish which makes you want to use the app more and more. You can get a genuine level of insight on your spending by using OnTress, which should be useful to everyone. What is it: Balance your income and expenses with Wally, a “360 view of your money”. Will it gain traction: Wally is another popular app on the App Store, so yes. However, as with Pennies above, the future of budgeting apps probably lies in ones which connect directly to your accounts. What we loved: It’s big and bold. Wally makes entering your expenses quick and straightforward with its big buttons, and bright colours. If one of the pain points in budgeting is actually remembering to enter expenses each time you spend, Wally makes it almost fun to record them. One aspect which is possibly holding these apps back is consumers themselves. Many struggle with the idea of signing into their online banking via a third-party app, despite the fact that most of these apps make it blindingly clear than they are only acessing data via a read-only view. Whatever the privacy cost of sharing your entire financial statement with another company is remains to be seen, but the Open Banking standard can’t come quickly enough for these guys. Seeing a snapshot view of multiple accounts proves extremely useful. Have we missed your favourite personal finance or budgeting app? Let us know in the comments below, or contact us here, and they could win "Best Personal Finance App" in this year's British Bank Awards.